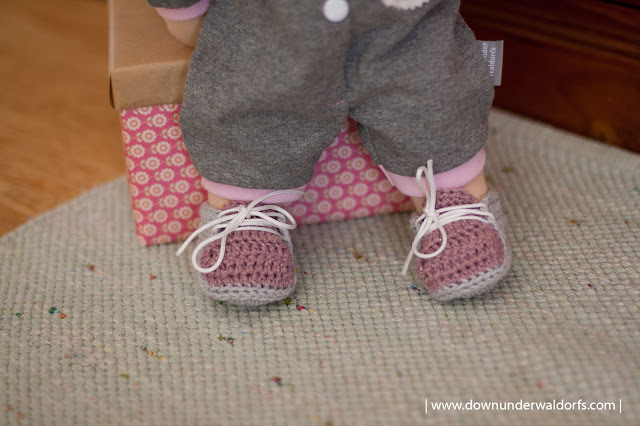 It has been a long six months of absence from dollmaking and right now life is slowly getting back to normal. 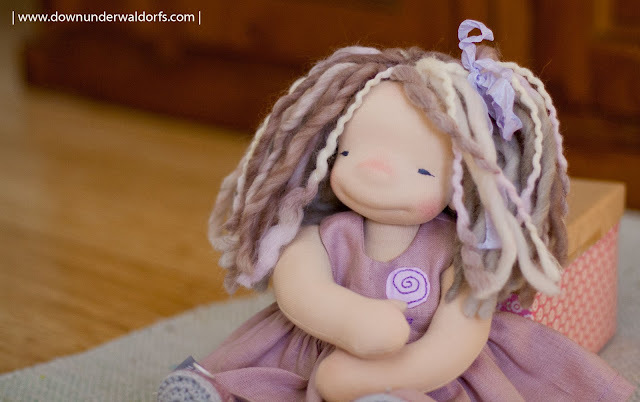 I heard that it is not easy to get back to dollmaking after a long break and to be honest it indeed was really hard but I managed it and even enjoyed despite all the messy mess around my table which of course is part of the creative process. 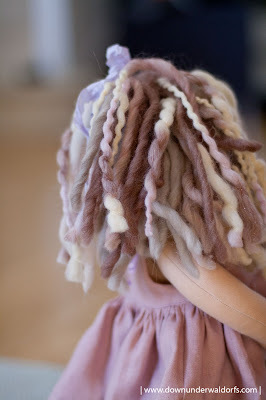 Pink haired doll Ava has been first in line to be finished because she has been started ages ago. She is a simple classic Waldorf dolly and available for adoption right here. Then there was another head nearly done and I thought that it will be good to work with her but in the middle of the process, I realised that it is not what I would love to create right now and the poor soul has been simply abandoned. The new doll which I started from scratch has got the most classy Down Under Waldorfs smiley features. She was easy to create even though I made a new body pattern (yes, yes, there is never enough body patterns). 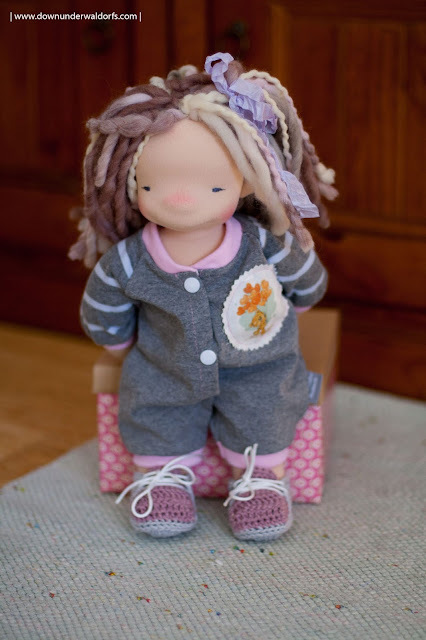 I named her Fenna and she is the sweetest 14 inches dolly I have ever created. We made her beautiful wig in a mix of two gorgeous yarns in earthy blushy shades. 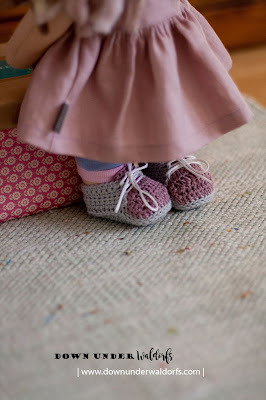 She has found herself some coordinating crocheted sneakers (yes, I truly believe that certain things just destined to someone just like these pair of shoes to this special girl) and I added a linen dress, leggings and cutest little romper. Fenna will be happy to find her loving home through Dollectable, August 1st upload.